If getting wet is your prerogative, and being able to actually touch the wildlife, then how about scuba diving? 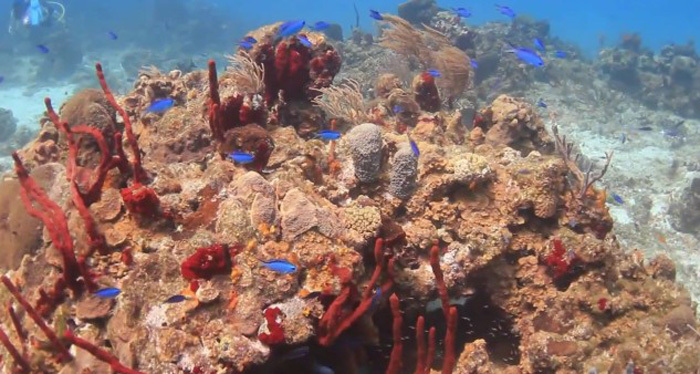 How better to see and feel the gorgeous coral reefs of Ocho Rios than to be swimming amongst it. Whether you are a beginner or advanced, the diving centers in Ocho Rios will have you underwater in no time. If you are nervous about diving, they have a large swimming pool and will take you through the PADI Open Water Diver Course. They also have the same course but advanced. This advanced course gives you the chance to experience some amazing things such as underwater photography, wreck diving and more. Some famous dive sites in and around Ocho Rios include but are not limited to The Mountain, The Wall, Jacks Hall, Devil’s Reef, Ganja Planes and more. If you are still wary of diving deep with scuba diving, then snorkelling would make an excellent option. It is very easy to learn how to snorkel, and you still get to be underwater with the marine life. Snorkelling is one of the most popular Ocho Rios water sports. With an instructor always by your side, you can experience nature’s most diverse ecosystems during an Ocho Rios snorkelling tour. Equipment is also provided, all you need to do is show up and be prepared to spend time swimming amongst the coral reefs like you have never seen. If you have the need for speed, and like to feel power beneath you, rent a jet ski! Available at most of the white sandy beaches in Ocho Rios, you will be provided with all the equipment such as wet/dry suit, life jacket, and kill switch (if you fall off the jet ski it will turn off). Feel the rush, feel the wind, spend an afternoon skipping over waves while racing up and down the beach.